I hope you are all doing well and had an amazing Monday. Something I love to use in the summer time regardless and even more so after a vacation to pro-long my tan are gradual tanners or moisturisers with a subtle amount of gradual tanner in the formulation. 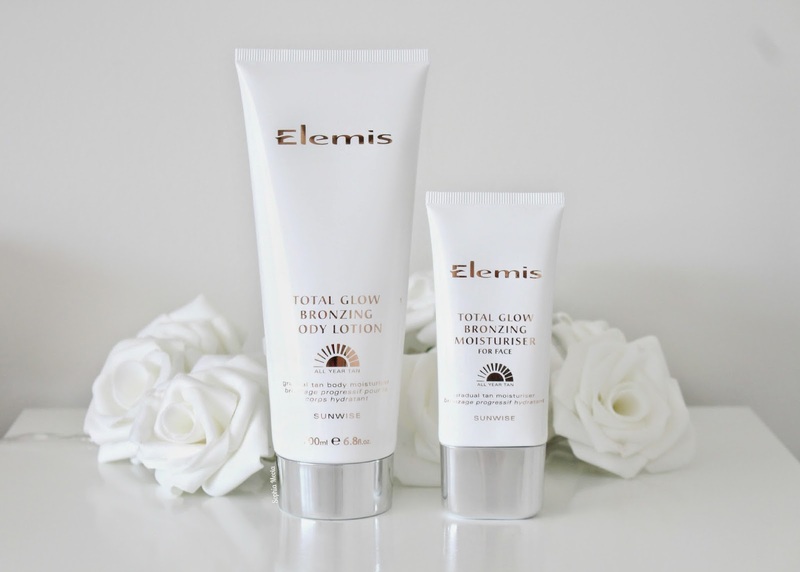 The Elemis Total Glow Collection features two gradual tanning products - a body moisturiser and moisturising face cream. I have been using them in conjunction together after a shower and I am absolutely loving them. When I have colour and a natural looking tan to my face I personally feel I look so much more alive and healthy...so these have been working a treat lately. 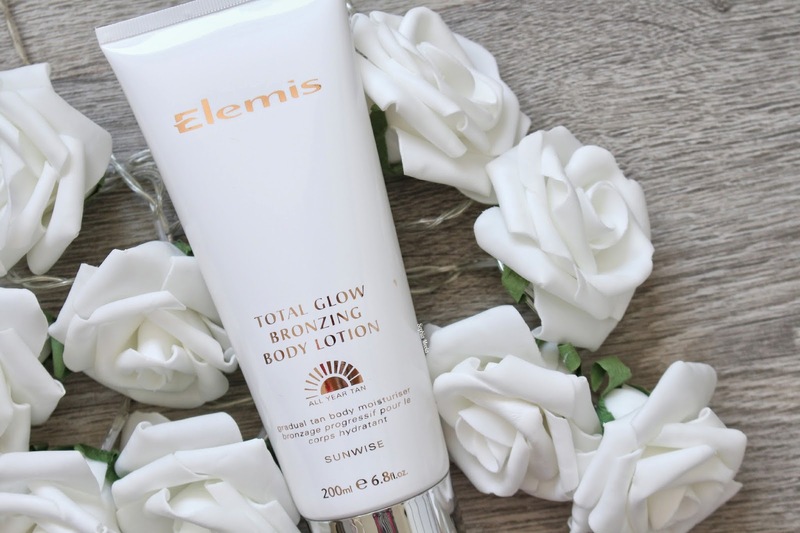 After being introduced to Elemis last year and have the opportunity to try out a range of their products I have to say they are a brand I love to use and really trust as they always use incredible ingredients that seem to react well to my skincare. 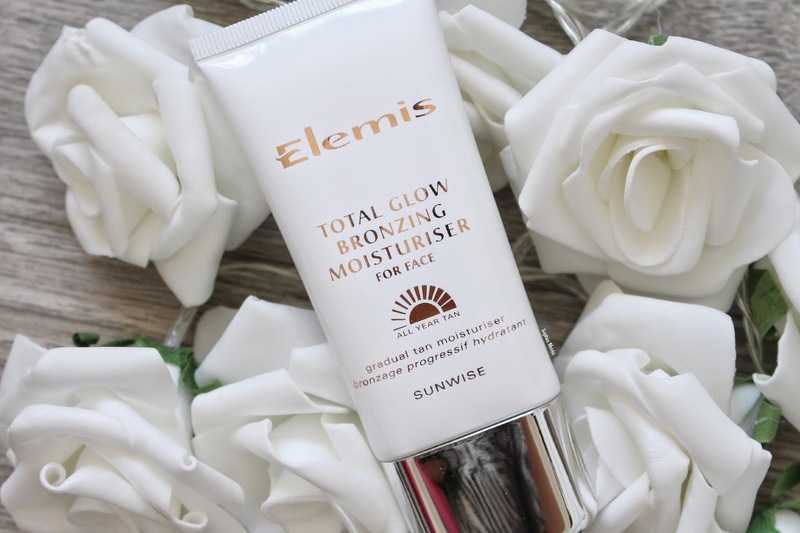 Elemis never seem to disappoint when it comes to their products and new releases so I was really excited to give the new Total Glow Bronzing products a try. Also, I don't know what it is but I can develop a slight obsession to packaging of products...if it looks pretty then chances are I am sold even more (so sad I know). If you are an avid reader of my blog they you will understand my obsession with anything Rose Gold. As soon as I saw the packaging of the new Total Glow Bronzing products I literally squealed with excitement...I love how the white chic packaging and the rose gold accents look together. I found the Total Glow Body Lotion so easy to apply after a shower in the evenings. This luxurious, gradual tan body lotion instantly moisturises the skin whilst subtly creating a natural glow to the skin. 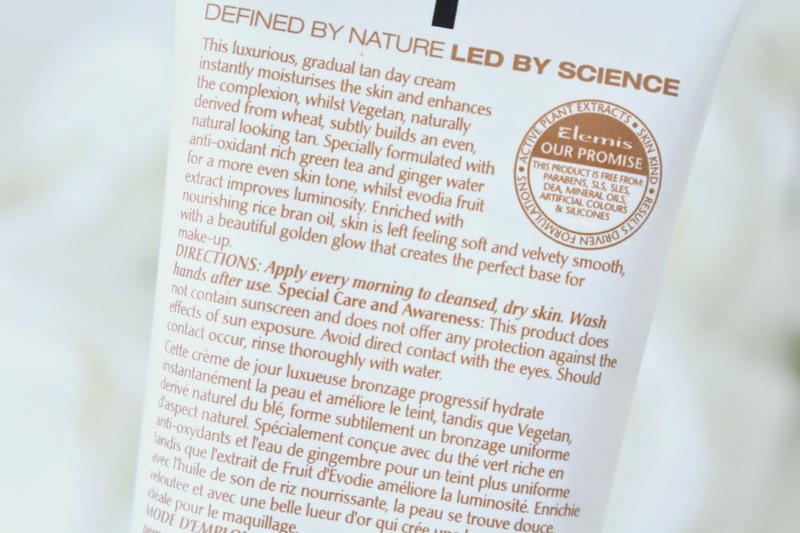 As I already had a tan I wasn't looking for the product to enhance it further I just wanted to moisturiser to pro-long my tan which is exactly what it has been doing. I am off away on vacation in a few weeks so I am not looking to use instant tans in the mean time...just something than I can stop using a few days before I go. The Total Glow Body Lotion is specially formulated with anti-oxidant rich Green Tea for a more even skin tone and Red Algae Extract to help ensure long-lasting hydration. Enriched with exquisite Abyssinian and Elderberry Seed Oils to nourish and condition, skin is left feeling super soft and velvety to the touch with a beautiful golden glow. 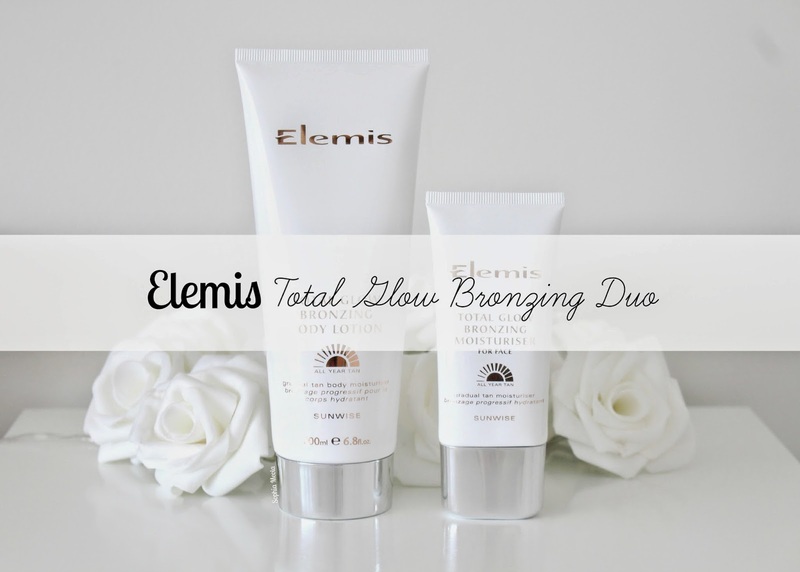 I really love how Elemis have launched the Total Glow Bronzing as a duo. I know you can get moisturisers that can be applied to the body and face but personally I feel they don't really work on me or they break me out. This luxurious, gradual tanning day cream instantly moisturises the skin and enhances your complexion. 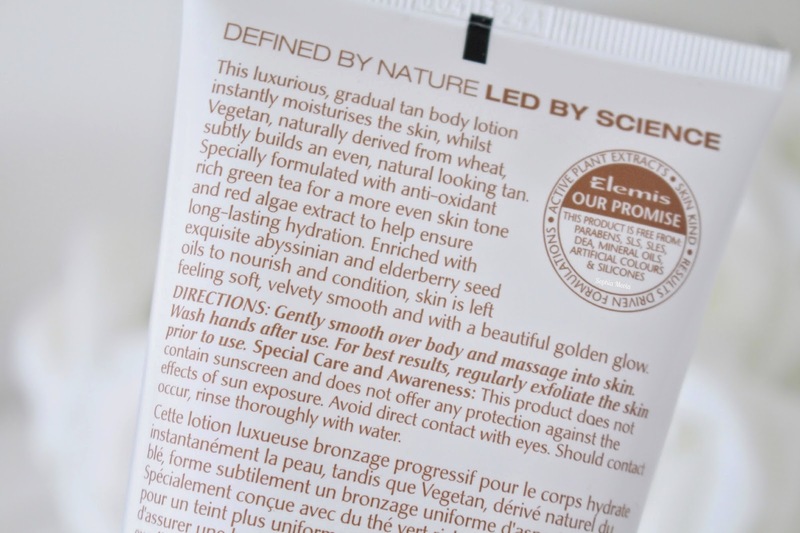 Just like the body lotion the moisturiser is specially formulated with anti-oxidant rich Green Tea and Ginger Water for a more even skin tone, whilst Evodia Fruit Extract improves luminosity. Enriched with nourishing Rice Bran Oil, skin is left feeling soft and velvety with a beautiful golden glow that creates the perfect makeup base. I have loved nothing more than to incorporate the Total Glow Bronzing duo into my evening routine. They are so light weight, quick and easy to apply to the skin and the end result is a gorgeous natural bronze glow...nothing oomph loompa or orange esk at all. Additionally, there is none of that fake tan smell so you can totally get away with enhancing a natural glow without getting caught haha. I hope you all enjoyed this post, I would love to know what your thoughts are on the Total Glow Bronzing duo. What are your favourite gradual tanning products to give a try? Like always lovelies, if you have any questions, requests or if you just want a chat you can contact me on my social media or leave me a comment below. I love hearing from you all and I make sure to read every single comment…they really make my day! 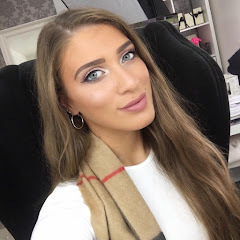 If you like my blog pretty please vote 'Sophia Meola' - 'Best Established Beauty Blog' & 'Best Social Media Blog' in the 2014 #CosmoBlogAwards! these look and sound fab girl! You have such a cute blog and I definitely must to follow you by GFC. I've never tried this, sounds amazing.